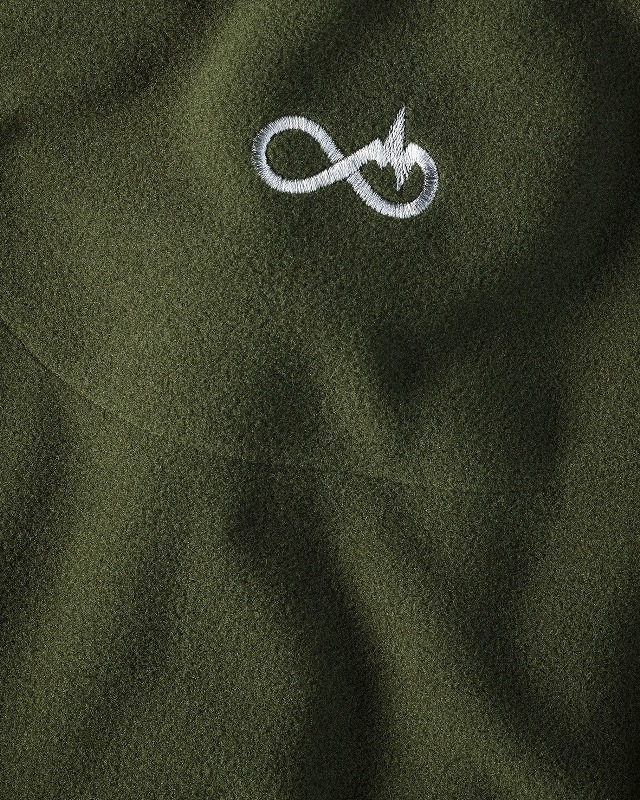 Light fleece shirts like our Bush Shirt are pieces of clothing, which have long since been part of the very basic equipment of any hunter in Anglophile countries. And rightly so. 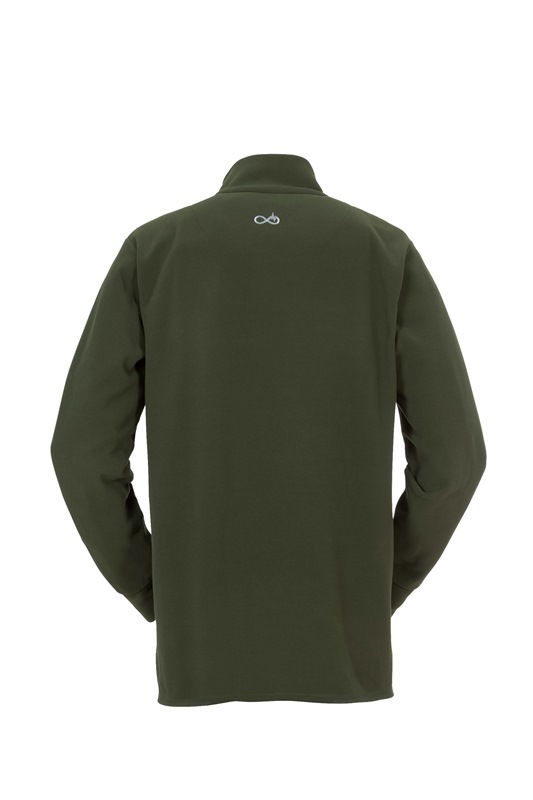 Manufactured from the light (150g/qm2) 4-way-stretch-fleece quality by a Portuguese high-end-weaver and refined with polyesters, our Bush Shirt becomes an indispensable companion for all kinds of hunting in your home country or abroad. 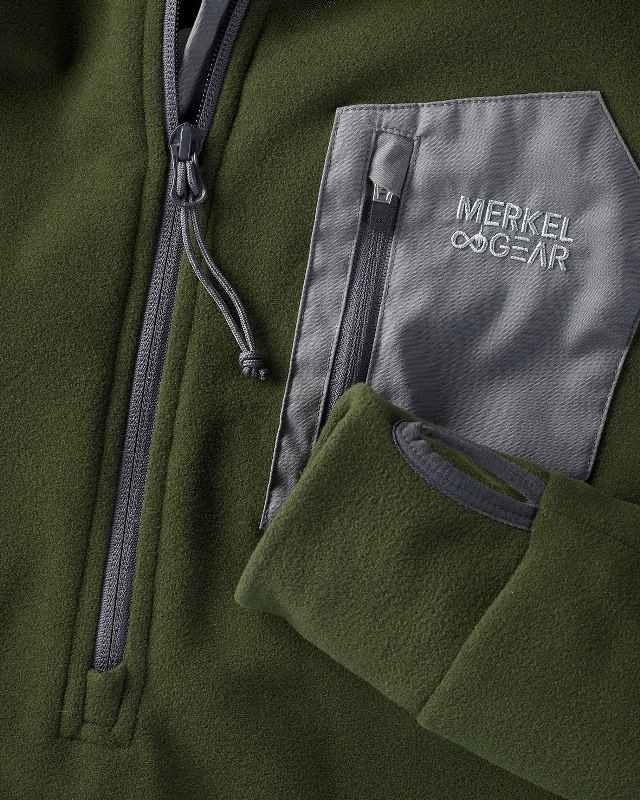 Probably the best warmth to weight ratio of the entire Merkel GEAR collection and a wearing sensation that is hard to describe: as if tailor-made and not to be compared to badly shaped fleece pieces of the past, this light-fleece shirt is hardly even noticeable. The stand-up collar of a few centimeters fits tightly and ensures that further layers on the neck do not take up too much space. 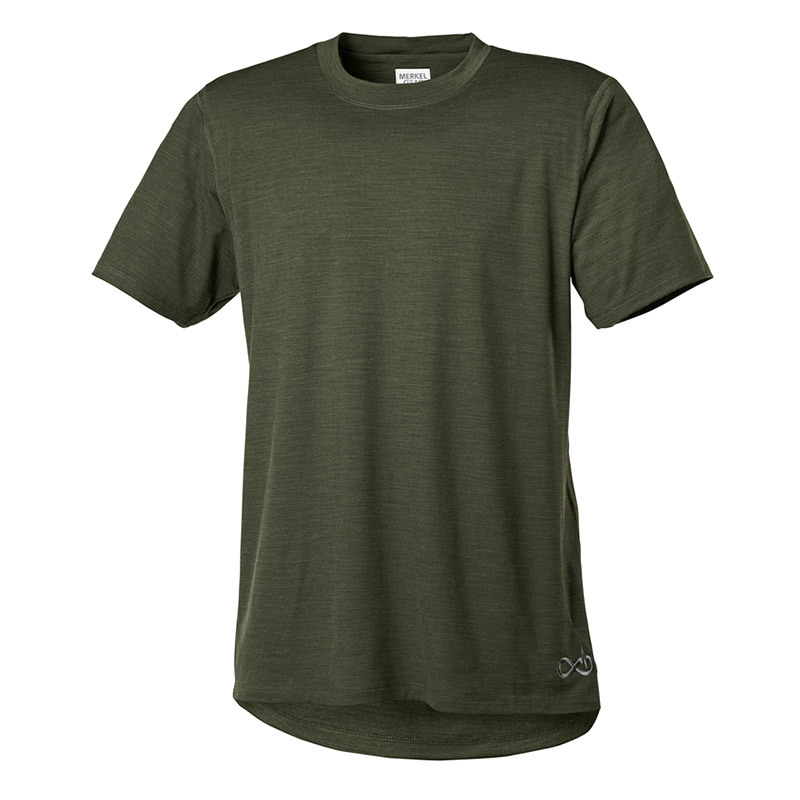 The sleeves are fitting tightly in order not to interfere with the layer system, however, they offer all the necessary freedom of movement for any intuitive aiming position. 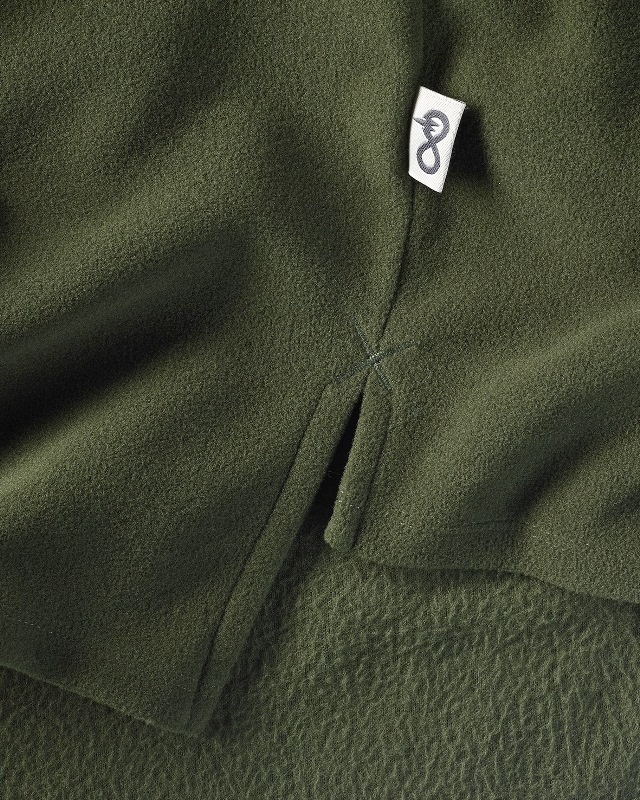 Integrated thumbholes are helpful when putting on the next layer and help to keep the hands warm if the weather is showing its grey face again. 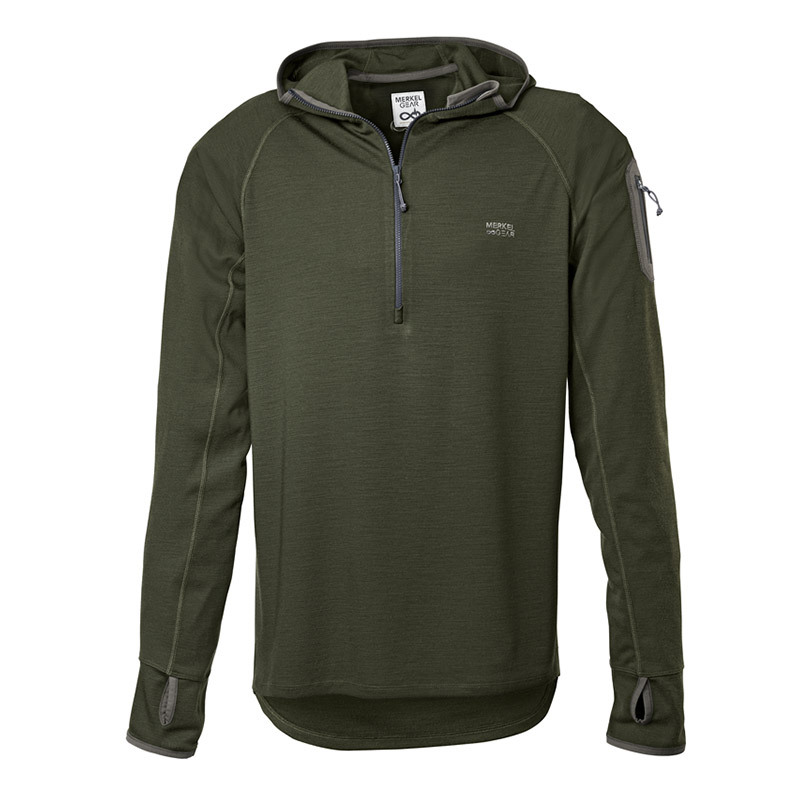 Significantly longer in the back and also long enough in the front to even withstand the most clammy autumn, yet the long quarter zip in the chest area lets in welcomed fresh air during sweat-producing hunts. A breast pocket with a Merkel GEAR embroidery offers sufficient space for small parts.